Tony Ferguson should be the most serious candidate to face Khabib Nurmagomedov next. These two fighters have a history. In the past, their match was delayed four times. At the moment, Ferguson is sitting comfortable at the No.1 spot, so his clash against an undefeated Dagestani should be the next logical move. There is no doubt Tony Ferguson would be the greatest test of Khabib’s career. Tony is on a hot streak, with 11 wins a row. Yet, Ali Abdelaziz, Nurmagomedov’s manager, is more interested in a “fight that brings a lot of money”. “At the end of the day, Khabib doesn’t need to fight anybody else for his legacy,” Abdelaziz told MMA Fighting. “He’s done what he’s done. He’s 27-0, he’s 12-0 in the UFC, he’s never been dropped, he’s never been caught, he’s never been knocked down. 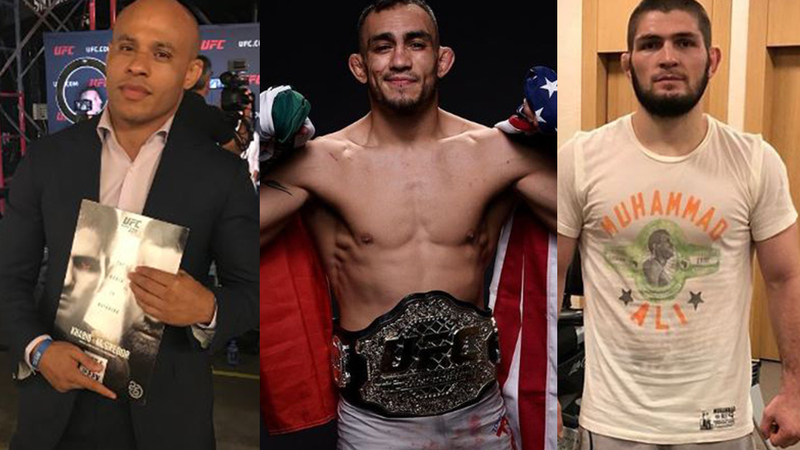 Ali Abdelaziz claims Khabib Nurmagomedov “one hundred percent” won’t face “El Cucuy” in his next match. Here is the problem – Tony Ferguson is not a fighter who could sell a magic number of pay-per-views. “So [we want] the biggest money fight he can make. Boxing, MMA, whatever. I love Tony Ferguson— he’s not that, I can tell you that,” he said. “One-hundred percent, Tony Ferguson is not the next fight, because Tony Ferguson — I need somebody who can sell pay-per-views. Khabib Nurmagomedov has already had a monstrous payout fight versus Conor McGregor at the main event of UFC 229 on October 6, 2018. The Russian won via submission. Dana White believes the Khabib Vs Conor rematch should happen in 2019, “if everything goes right”. What do you think, who’s the next in line for Khabib?